Getting a thumbs up means to LIKE IT. Such a simple gesture, that we like to use, if something really appeals to us. It was a good idea to feature it as an action on the Internet. Today, we all understand it not only as an expression of positive opinion, but also as a expression of support or a one-word answer to a question. All this new context was created in the last few years thanks to social networking. Words like “like it”, “tweet” or “+1” are now part of our Internet presence as tightly as a link, page, or login are for some years now. And the company Brain Games also used it as a base for their new game. 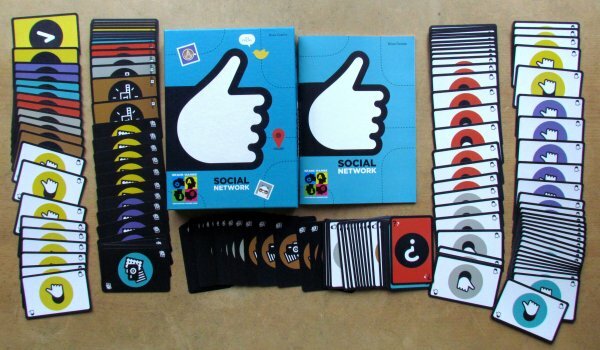 Its called Social Network and it was presented at the fair in Essen Spiel 2013 together with excellent Om Nom Nom (review). 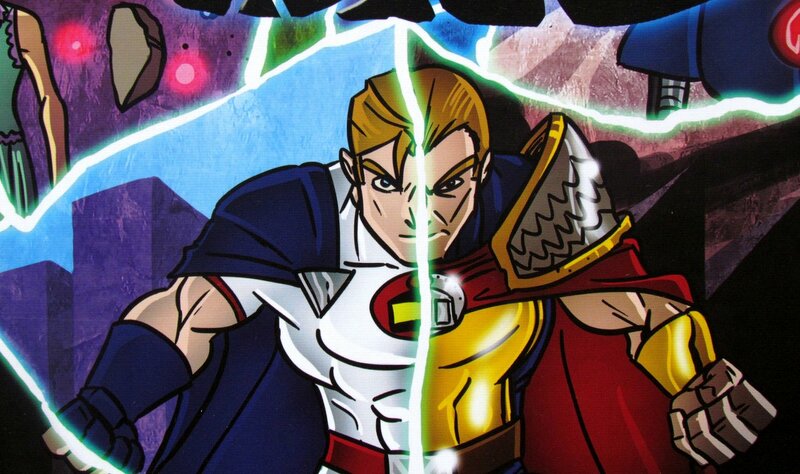 Its author is Brian Gomez and it is clear, why publishers have chosen his game – just compare his name to name of this company name. This can not be a coincidence. A simple icon-based graphic were prepared in Ascetic Labs. 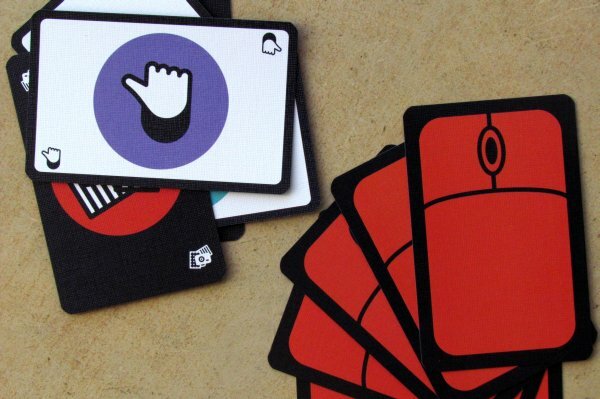 Box of the game is dominated by one big white thumb, so you do not stay even for a moment in doubt what the game is about, even if you needed to understand its English name. It is quite large on two main dimensions, but its really low – it measures a mere three centimeters in height. Inside, there hides a booklet with rules in nine languages and with it also three decks of cards. There is altogether 150 of them and you can not believe, how well they could stack into this low box. When you put all together and divide them by color, you get six piles, each with exactly twenty-five cards. These are always for one of the six available players. You will see various symbols on them, not only the already mentioned thumbs, but also a question mark, camera or a podium. 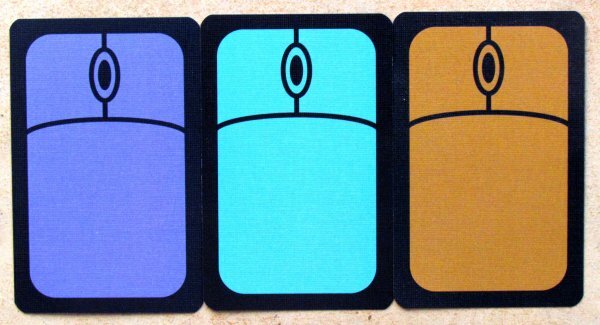 All game cards are connected by their back, which resembles a computer mouse. 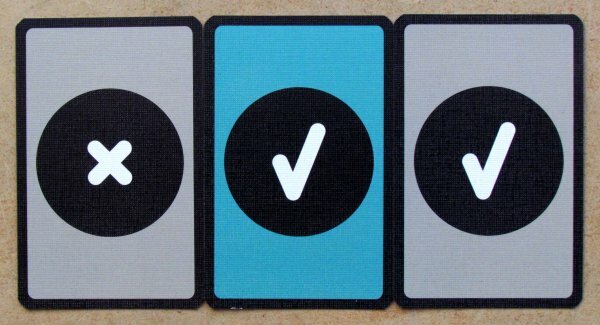 The only exceptions are two voting cards, that have a mixture of crosses and ticks on their backs. Each of them can be found also at the front – either OK or not OK. 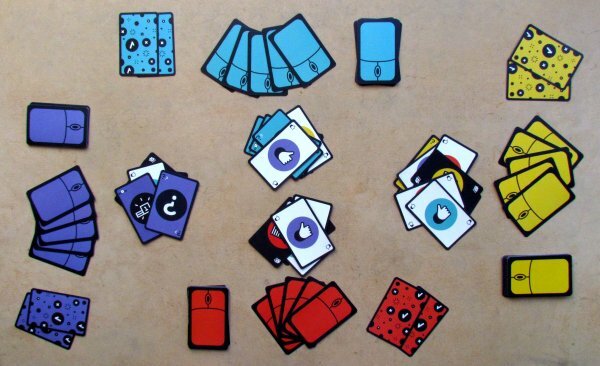 According to these colors, it is clear, that at the beginning of the game, each of your opponents chooses his favorite color and take the whole package with 25 cards to him. Everyone place his two voting cards aside and creates his own drawing pile out of the rest after shuffling. From there, they start by taking five cards. 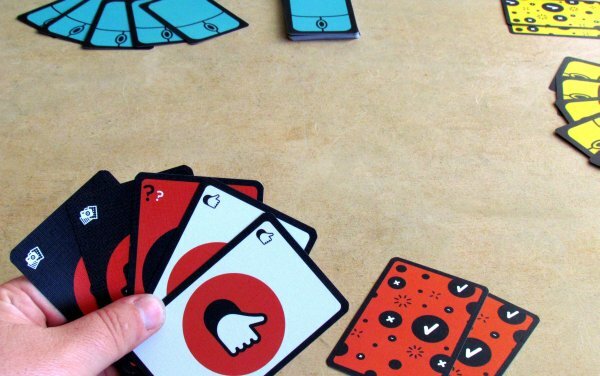 Together, participants will find player with the longest thumb, which becomes the starting player and social communication on the table can begin. Entire game takes place in real time and players are all participating in cartomancy at the same time. 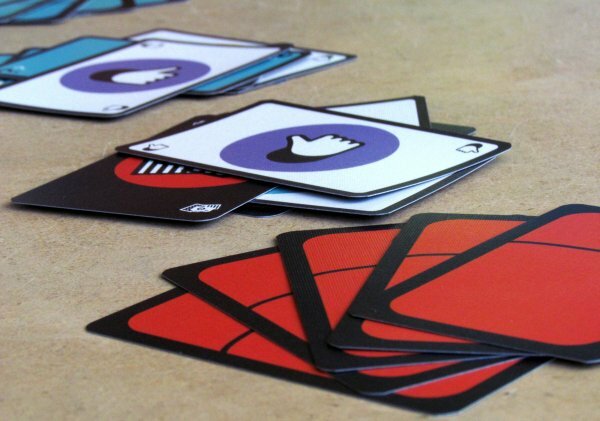 Most of cards can be played by players straight ahead and create a profile on a social network. Conversely, player is not allowed to be play a “Like” with thumb up in front of himself, but only on a pile of other players. Players have also by far the most of them in their decks (fourteen, more than half of the entire pile). Before we continue, it is important to explain meaning of the game. Everyone in the game is trying to be owner of the richest profile with most thumbs, but at the same time also needs to get rid of all his own, which are his urge to express opinion on others additions to the network. Undelivered likes bring minus points at end of the round. Many different galleries are emerging in social networks. 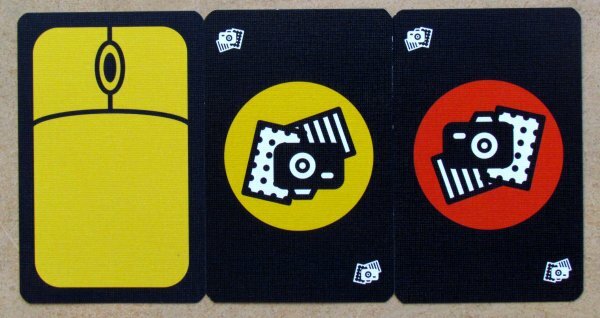 Therefore, players have six cards with picture of a camera in their deck. Playing of such cards in front of him and labelling it loudly (you could get others to like it more by giving its nice and funny title), he gives every opponent a chance to put one of his thumb card there. Players are not required to choose a gallery, because there will be enough of them in the game. Therefore, it is good to try to lure them with an interesting title. The gallery can receive any thumbs until profile owner plays a new card on top of it. This may be wearing either a question mark or a podium. 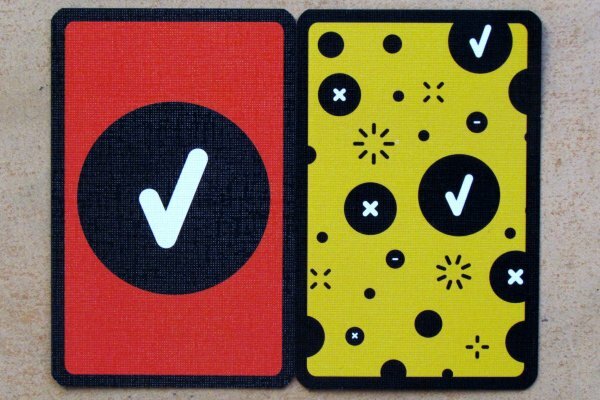 Both of these cards mean a competition with the prize for the winner. While battle with the podium does not stop the game, a question mark symbolizes, that all contestants must interrupt their play. Once a player plays a duel, he can say an activity or question for everybody, who listens to him. Players can follow his orders, for example, two pushups or say name of a Muse frontman. Anything is allowed, because only for players, who want to, can participate. Others may meanwhile continue the game in traditional way by playing more cards. 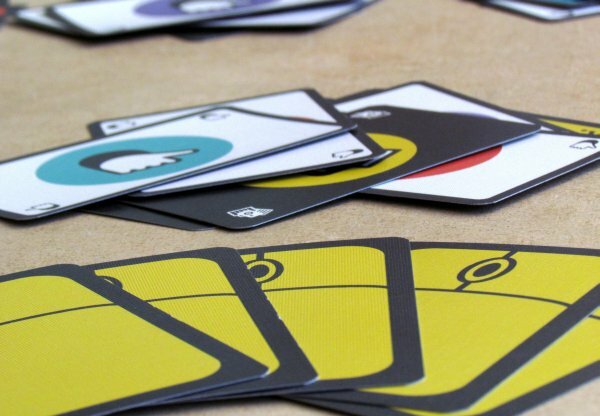 The one, who first succeeds in the given task may play one card from his hand or drawing pile onto his own profile and thus increase his points profit. But the same can be done by whoever invented the activity, which was completed. If no action is delivered or players fail to correctly answer, no one gets any reward. 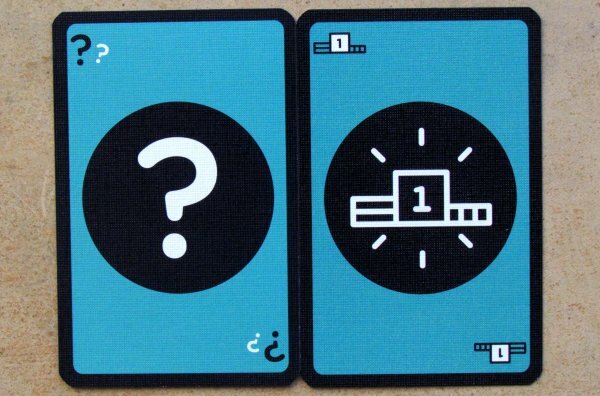 On the contrary, when quiz is played, players must suspend all their activities on the STOP instruction issued by player, who laid out the card. This time, he can ask any question about himself, which can be answered yes or no. This is correct time to pick up voting cards and plays face down that one, which marks correct answer. Others try to guess. Everyone, who guessed rights, once again has an opportunity to add one single entry on his profile. 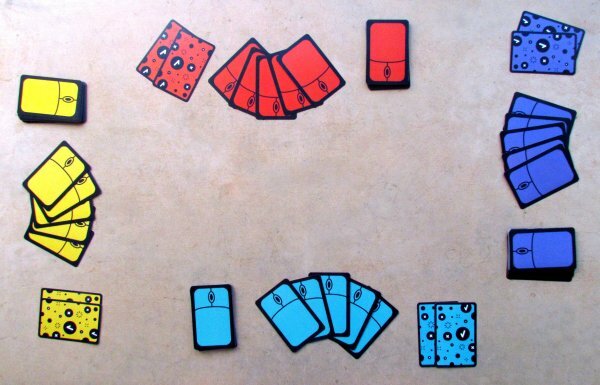 Whenever a player has less, than five cards in his hand, he may draw a new one. Round ends, when one of the opponents plays out his last card. At that moment, everyone must stop and it’s time to calculate victory points. 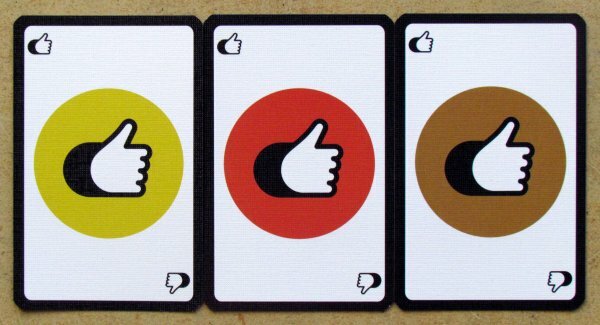 For each card player has on his profile (either his or someone else’s), he gets one point. On the contrary, he will be subtracting number of cards, that did not make it to the scoring pile, whether they are in his hand or still in drawing deck. Player with the highest point gain has the best profile and becomes a winner. 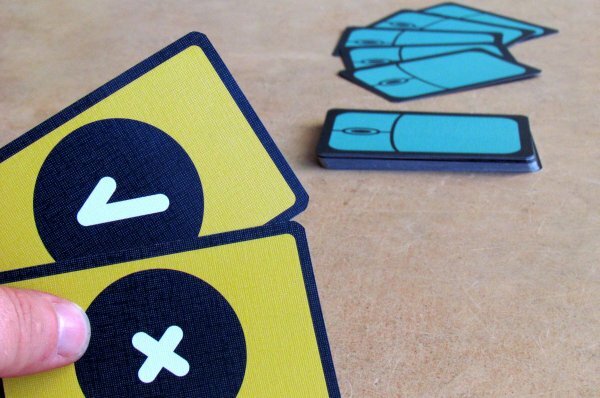 It is also possible to play more rounds and sum up points for all rounds. Social Network is a game, that tries to ride on wave of social networking popularity. 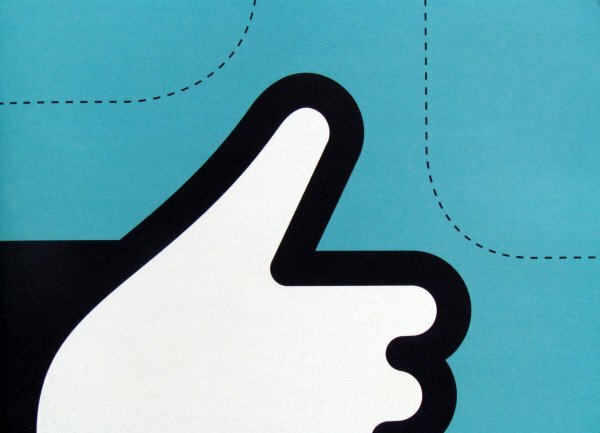 Once we all like Facebook or Google+, why should we not give a “Like” or “+1” on the table, when we talk with friends? Theme has a really wide audience to appeal to. However, many players can repelled, because the social network still arouses emotions. But here it all borders with the aim to be first game with such a theme on the market. Unfortunately, it is not easy to create funny game about this topic, that woul be enjoyed by its players. And it was not successful here, we can tell you that. 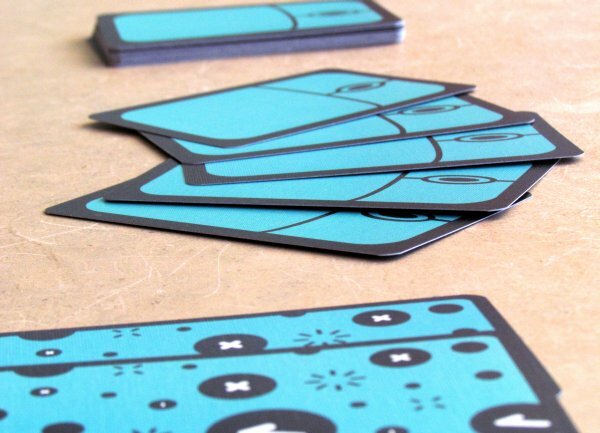 Playing cards is simply a way to win and does not give players any joy. Still, game has rather interesting effect of strategy, while playing cards on rivals decks is drawing end near, but at the same time, you are adding cards and points to opponents. But actually you do not have a choice, because you do not know, if you have chosen the right profile to give a thumb to, until the end. Even in this spot does not the game score some points in our minds as much as it seemed after reading the rules. The most fun remains in devising and carrying out the tasks. These can be either about an action or knowledge. It depends only on the imagination of the person, who played the card. But then there are quizzes and rules clearly indicating, that they should be focusing on personal issues. That is also the place, where topic of social networks gets clearly apparent. Guessing is the most fun out of the whole game. But if you want something like this, is it not better to try out games like Say Anything instead? It is good, that the publisher paid enough attention to the rules booklet. It is clear in most cases and game is playable without any questions. Maybe, when it comes to game ending, there can be some misunderstandings. Conversely graphics itself is a strange choice, because it is completely uninteresting, at least for us. We will not hide the fact, that we do not like most games, where all participants are playing at the same time. 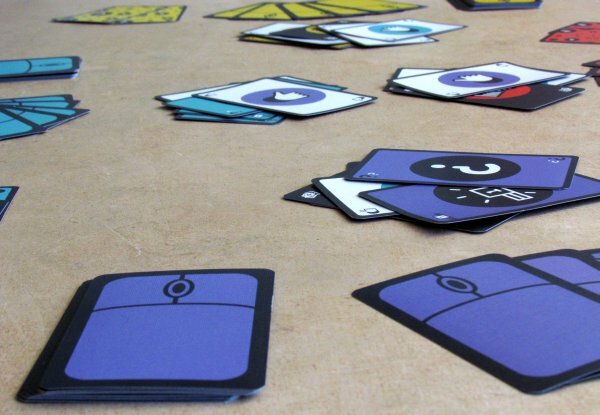 But we were surprised by some games, which are fun and use this principle, as Loonacy (review). However, Social Network Games will not be one of these exceptions. Game is not much fun, and a few small ideas will not save creaky construction of the whole game mechanics. Social Network is a game, that tries to mimic the activity on social network. 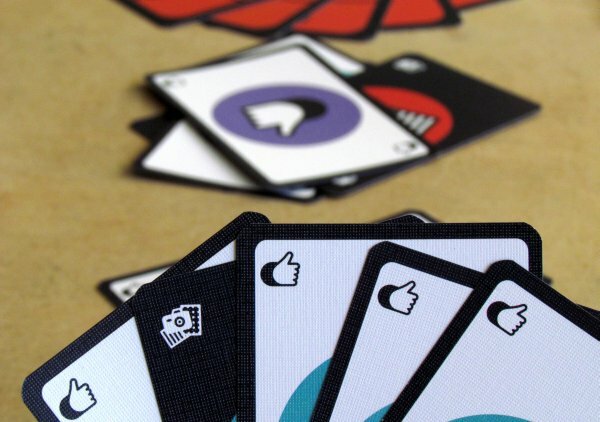 Simply by playing cards to each other, players express support. But at the same time, they are trying to get victory, because this is the most important thing on the line, right? Most of the match takes place in real time, where players can play cards in front of them or on opponents photogalleries. Some cards will bring up tasks to be performed by others, but they are completely devised by players. Other will completely stop the game and ask some personal questions. The game is fast, but unfortunately playing at the same time is bad for all the players in here. 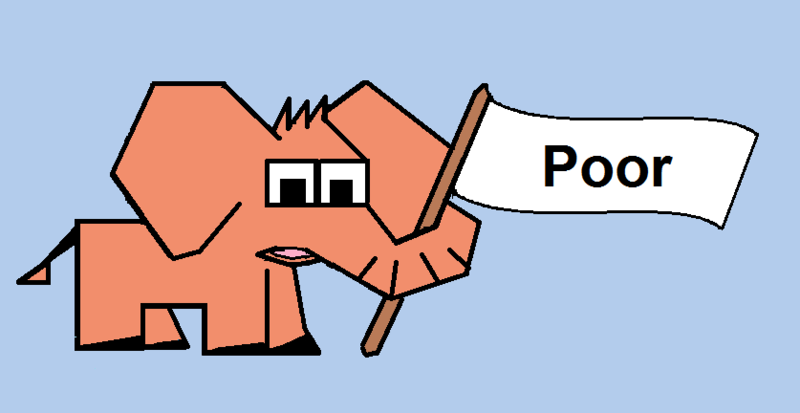 Consequently, Social Network is not too funny game and simple uninspired graphics also does not help.